Lifetime ha adquirido los derechos para transmitir por TV los partidos de la Liga Nacional Femenil de Soccer de los Estados Unidos para territorio norteamericano y Canadá. El acuerdo inicial fue por tres años, y llega hasta el final de la temporada 2019. Los interesados en seguir los juegos de esta liga podrán hacerlo en la señal por cable de Lifetime, por medio del sitio web mylifetime. More details com, y por la aplicación Lifetime, disponible para iOS y Android. The new National Women's Soccer League campaign is upon us. Here are the best social media posts to celebrate its return. The USWNT icon will hang up her boots after once the upcoming NWSL season comes to an end. The struggle for recognition of women's equality with men has been waged in countless high profile industries. The National Women's Soccer League gears up for its eighth season as nine teams vie for the league title and World Cup preparation begins. The National Women’s Soccer League (NWSL) is the top-tier of proffesional women’s football in the United States. This league was created in 2012 in substitution of the Women’s Professional League (WPL) . The tournament is run by the United States Soccer Federation. This league does not operate under the promotion-relegation system. Nine teams play against each other three times during the regular season. The team with the highest amount of points is awarded the NWSL Shield and a spot in the playoffs. The second, third and fourth spots in the league make it to the finals as well. Two one-legged semifinals are played to obtain the two teams that will fight for the title in a pre-defined venue. The North Carolina Courage is the current NWSL champion. This team became the first one in league history to win the title and the NWSL Shield during the same season. The 2018 edition of this tournament began on March 24 and concluded on September 22, when the Courage defeated Portland Thorns by a 3-0 score. With the NWSL ending it's broadcast partnership with A+E Networks, Yahoo Sports is set to stream live all the non-televised matches. When does the 2019 National Women's Soccer League start? The regular season for the 2019 National Women's Soccer League commences on Saturday, April 13. This year's campaign will conclude on Saturday, Oct. 12. Which teams are playing in the 2019 National Women's Soccer League? Who are the current champions of the NWSL? The North Carolina Courage won last year's NWSL Shield. The team finished the campaign with 15 more points than second place Portland Thorns. Courage went ahead to defeat Thorns in the NWSL Championship final by 3–0 in September 2018. As a result, it became the first team in history to win the NWSL Shield and the NWSL Championship double in a single season. What are the key fixtures of the 2019 National Women's Soccer League? Having qualified to the Playoffs alongside Courage and Thorns in the last edition of the competition, matches involving Seattle Reigns FC and Chicago Red Stars will be of key interest. What is the format of the National Women's Soccer League? A team's position in the standings is determined by the points earned. The conventional points allocation of three for a win, one for a draw, and zero for a loss is used. Should there be a tie when determining the final standings and the teams eligible to feature in the Playoffs, the NWSL uses the following rules in descending order to break the tie. Head to Head win/loss record between the teams involved. Greatest goal margin in the entire season. Greatest total number of goals scored. A coin toss is the final alternative if all the above options are exhausted. Who is broadcasting / streaming the 2019 National Women's Soccer League? Yahoo! Sports will stream every NWSL 2019 match online. 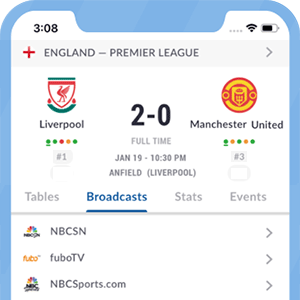 International fans will be able to stream matches on the NWSL app and website. Following the abrupt termination of agreement between the NWSL and A+E Networks, the women's soccer league without traditional TV broadcast partner ahead of the new season. Did you know? FC Kansas City was the most-winning team in this league, but it ceased operations in 2017. The North Carolina Courage is now the most-winning team that still exists, having won the most recent tournament and the one in 2016 when the team was called the Western New York Flash.